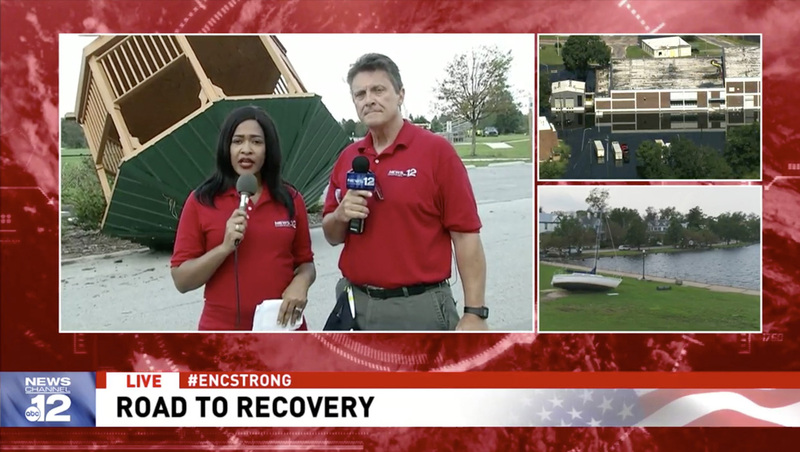 With WCTI, Sinclair’s ABC affiliate in New Bern, North Carolina, still not able to operate from its newsroom or studio in the flood left behind by Hurricane Florence, the station is anchoring its newscasts from outdoors — using a makeshift video panel and real life devastation left by the storm as its “set” for storytelling. 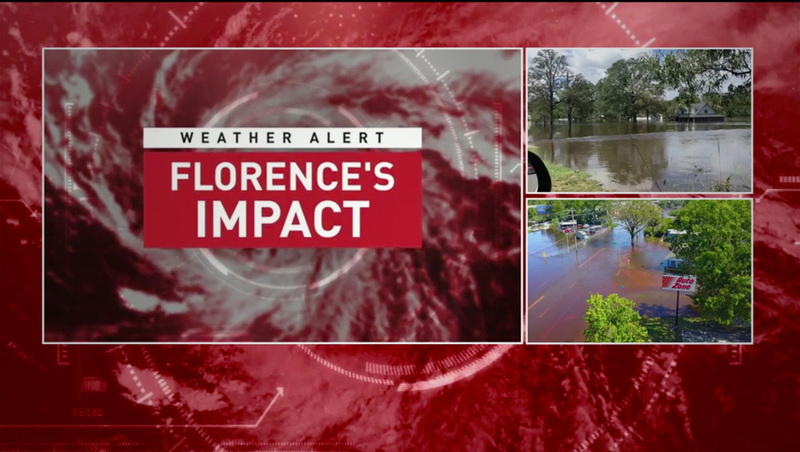 The station, which had to switch its feed over to WPDE in Myrtle Beach, South Carolina, appears to be still relying on the S.C. station for its control room operations because the graphics are the standard Sinclair look, which WCTI did not use prior to the storm hitting. Its newscasts primarily consist a three box layout set against a bold red background — with one large box for the “main feed” and two smaller ones that rotate among a variety of shots from throughout the region. 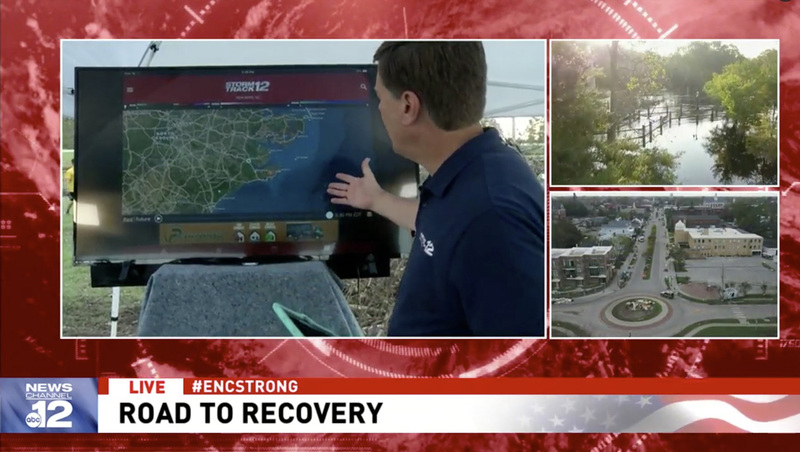 Anchors can be seen delivering reports from in front of a a variety of scenes of devastation, including an oversized gazebo in an incredibly rich illustration of the damage the storm left behind. For weather, no chroma key wall is available, so the station propped up a television panel outside which appears to be connected and controlled by a tablet. The glare from the outdoor setting makes the image a bit difficult to make out, but also adds to the raw feel of the newscast. 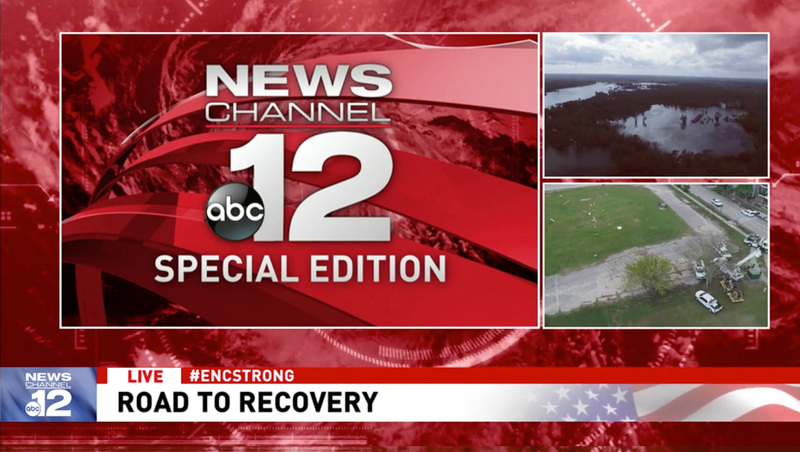 The newscasts are being presented under a “Special Edition” banner. Meanwhile, sports anchor Brian North gave viewers a look at the damage to the station’s building in a video “tour” posted to Facebook. Work has begun to prepare for the station to move back in — which may happen as soon as a week.